Blog Archives | Young Marketing Consulting - Results. Not Buzzwords. The history of Valentine’s Day goes back thousands of years (you can skip to the end of this post to see just how far). But in the more recent past, marketers have been a driving force in society’s celebration of love. At the time, Americans mostly circulated hand-made love notes. 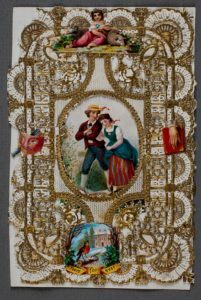 Recognizing that no one in the United States was producing high-quality Valentine’s Day cards, she began assembling her own cards from silk, lace and other fine ingredients in a spare bedroom. Production quickly expanded to women working from home all over town, eventually growing her business to annual revenues of $100,000. The marketing lesson for today? If you see a gap in a marketplace, trust your instincts. You’ll always want to research your market of course, which is why Esther relied on a traveling salesperson when she began who relayed customers’ potential interest in her endeavour. Wondering where those heart-shaped candies first came from? The answer is the famous chocolatier Cadbury, and the reason is, well. marketing. Let’s travel back to 1868 when the French were world-renowned chocolatiers and every other company was an also-ran. Richard Cadbury, son of the company’s founder, wanted to highlight Cadbury’s quality in a way that caught people’s attention. He settled on the concept of a “Fancy Box”: a keepsake crafted with such stunning detail that the boxes were prized as luxury items and regifted as keepsakes even after the chocolates were consumed. The heart-shape? His invention as well. Our Modern Marketing Lesson? Fit your message to your audience and give them an experience. Valentine’s Day, and Cadbury’s, might not be the same if Richard had made boxes from cheap plywood! 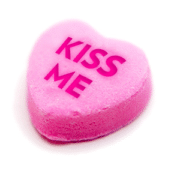 Estimates for consumer spending on Valentine’s Day hover north of $18 billion. And capturing a share of that spending has to be done quickly – you can see from the Google Trends report below that interest spikes quickly for Valentine’s Day shoppers. Which brings us to the challenge of seasonal marketing. You’ve no doubt noticed that products for all seasons are showing up in stores earlier and earlier – I saw Valentine’s candy on the shelves in December this year. But it’s being done for a reason: while many very seasonal purchases are done closer to the the date of celebration, you’re trying to generate awareness that the holiday is coming, and hopefully capture a larger share of spending from someone who can’t resist buying a bag of delicious candy hearts just a few days earlier but breaks into the sweets before the big day and has to buy another bag. The marketing lesson here? Take a look at when searches for flowers start increasing – two months before Valentine’s Day. Start your seasonal promotions around two months in advance, and you’ll hopefully be capturing mindshare before your competition. Marketing a seasonal product? Start promotions ~2 months in advance. We hope you enjoyed our historical look back at Valentine’s Day. If you’d ever like to have a more modern marketing conversation, why not contact Young Marketing Consulting today. A. It was the day Roman emperor Claudius II executed a Christian martyr named Valentinus for secretly marrying soldiers? B. As celebrated by high-school English favorite Geoffrey Chaucer in his poem “Parlement of Foules“, it was the day of Richard II’s engagement to Anne of Bohemia? C. It was the day the ancient Romans celebrated the feast of Lupercalia, during which they stripped naked and whipped each other with wolf skin to purge bad luck and infertility? The answer is…all three. 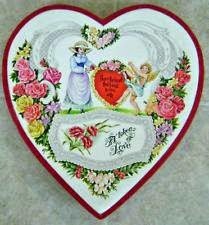 Valentine’s Day as we know it traces its roots to the English tradition of courtly love in the middle ages, so you could argue that B is most correct answer. But B never would have happened if Chaucer hadn’t called out the date as being “Saint Valentine’s Day”, which may or may not have been arbitrarily declared by Pope Gelasius I to help eliminate the pagan Lupercalia festivals he had just outlawed.